Enter your email address below to receive a notification when My Texas Market starts accepting new sign-ups! Enter your email address below to receive a notification when My Texas Market is accepting new sign-ups again. Your box will ship out the second week of each month between the 6th and 8th. Please order by the 4th of each month to receive the current box. 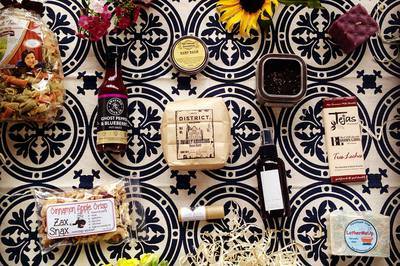 Enjoy small-batch artisan items from farmers' markets and local Texas businesses without ever leaving your home. Locally produced food items, handcrafted home goods, all-natural skincare, and much more! Locally made, small-batch artisan items. 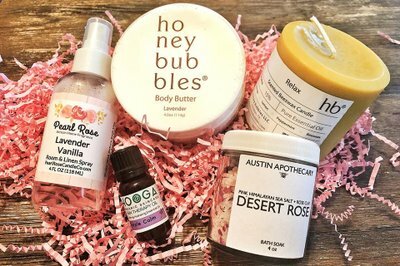 Makes a unique & wonderful gift; ask about our individual gift crates. 4-6 handcrafted goodies delivered the first week of each month. 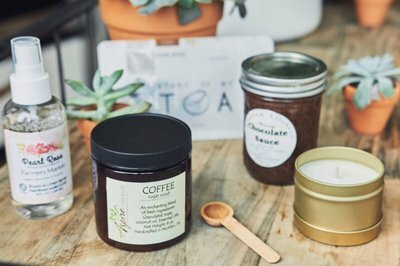 An Online Market to easily get more of what you love or sample new products without a subscription. March Rodeo Box was AWESOME! 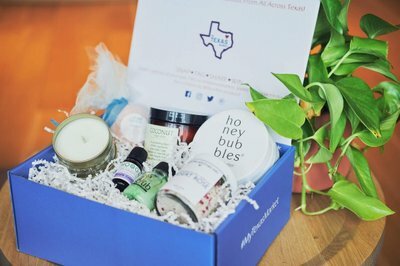 Ok Texans, we officially have a subscription box. Texas is not an easy culture to capture without being cheesy or insulting, but My Texas Market embodies the Lonestar State. First of all, the products come from small businesses across the state and they don't disappoint. Secondly, state pride comes through naturally without being obnoxious or overdone like it could be if a real Texan weren't curating it. Thirdly, 10% of all profits go to the Houston Area Foodbank. That's what being Texas friendly is all about. We take care of our own. The products that came in my Rodeo Box were BBQ Sauce, a High End Shaving Bar, Chocolate, Spicy Jam, Sustainable Pecan Wood Republic of Texas Magnet, and Beef Jerky. 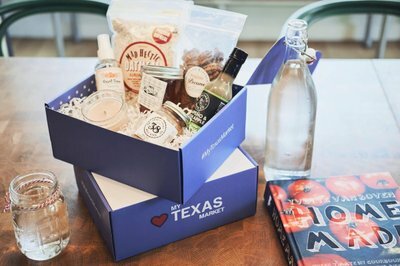 You don't even need to be Texan to love this box, you just have to like good food and quality consumables. It's also worth pointing out they are NOT afraid to send a heavy box, and of course it's bigger than any other box I've ever gotten. I love this company, their mission, and the product! Support small business & subscribe y'all! 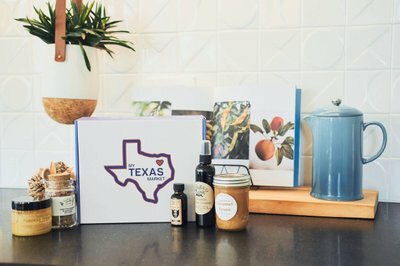 I loved the Sept. My Texas Market box! I appreciated the variety of products included. I like it when a box can feature more than just the foodstuffs from a certain area. Although Texas does have some pretty amazing food! Everything in here was great quality, useful and the whole package made for a fun unboxing. I like to see what kinds of things curators decide to choose for boxes of this type. 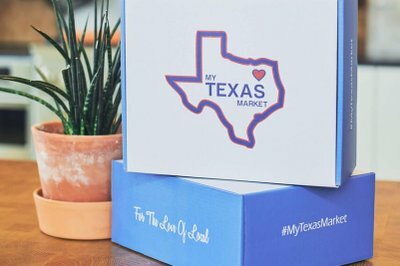 I think My Texas Market makes its way to the top of my list for excellence in curation for specialty, local boxes featuring area specific artisans. This is the kind of box that will give you a monetary worth right about the cost of the box or a little over but the true value is in the experience and discovery of new things you didn't know you needed. Specialty boxes like this make wonderful gifts, too, so keep this in mind as the holiday season approaches.